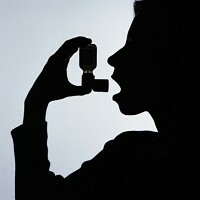 People travelling to India with children who suffer from asthma may be interested to hear figures for the condition in the Indian city of Chandigarh. Between 5 and 10% of children in the city are affected by asthma, according to a study by the Postgraduate Institute of Medical Education & Research (PGIMER). The research shows the prevalence of the condition in the area has increased, with it affecting children from all backgrounds. The figures bring a timely reminder of the importance of pre-existing medical travel insurance for parents with asthmatic children heading to India for a holiday. Despite the predominance of asthma in Chandigarh, Cha Professor Sunit Singhi, head of the Pediatrics Department, PGIMER, revealed there is still a lack of understanding about the condition. He claims confusion prevails among parents who sometimes confuse childhood asthma with the adult form of chronic obstructive pulmonary disease (COPD). An awareness-raising event is being held for parents on Tuesday in a bid to clarify any misconceptions.